The notion of "edge times" is not new. It seems that almost every generation feels — with good reason — that the last days are upon them. Whether it is in the introduction of language, the printing press, electricity, the automobile or the atom bomb — there is always something new that is bringing the tipping point closer. That said, things look pretty dire. From global warming to the economic meltdown, we do seem to be between a fire and a hot place. Back in 2006, Daniel Pinchbeck crystallized a lot of thoughts and synthesized a lot of disparate perspectives with his book '2012: The Return of Quetzalcoatl.' Now he's back with a collection of essays, 'Notes from the Edge Times' (Tarcher / Penguin ; October 14, 2010 ; $23.95). It works as either an adjunct or an introduction to Pinchbeck's work in '2012.' And on its own, it's a breezy, thought-provoking series of essays as actions. From the introduction onward, Pinchbeck takes writing itself as an action, a means of getting us from one place to another. The pieces, which appeared mostly in either Conscious Choice Magazine or on Pinchbeck's Reality Sandwich website cover a gamut of topics, but have the perfect through-line. That would be the ever-questing voice of Daniel Pinchbeck. Pinchbeck is clearly a man at the cross-roads, and not just one in his personal life — though that is certainly true — but as well, Pinchbeck seems to have found the perfect place to view our current cultural cross-roads as well. He's a synthesist of ideas, a prose pollinator. Whether he's talking about the work of Gerald Heard or Rob Hopkins' Transition Town movement, Pinchbeck has a knack for capturing a unique essence, a single pixel of thought that readers will quickly plug into the bigger picture. The topics of Pinchbeck's essays are happily all over the map. You get the New Gnosticism, some old spirits, a variety of perspectives on the global economic meltdown, and some single essays that act as a binding agent for the ideas in the book, like "Nonviolent Action as Spiritual Practice." Pinchbeck's unique voice and vision suffuse the narratives. The smaller bigger picture here is the portrait of an author in transition. 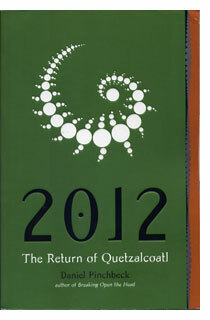 Having created a genuine sensation with '2012: The Return of Quetzalcoatl,' Pinchbeck finds himself presented with an implacable deadline in the title of his own work. Moreover, he is clearly a genuine polymath investigator, a man who seeks to find the unity amidst a world descending into chaos. The staccato nature of these essays suggests that Pinchbeck is planting seeds not just in the readers' minds, but in his own as well. There's a palpable tension here as the bigger ideas that loom outside of this book — many of them in '2012,' others in Reality Sandwich, still others in his Evolver network, others still, nascent in these essays — coalesce into Pinchbeck's next work. But whether you view it as unbundled footnotes to '2012,' thirty-three introductions to '2012' or a collection of mind-bending mini-rants, 'Notes from the Edge Times' is consistently good reading. It doesn't hurt that Tarcher has done an excellent job printing and publishing them in a very easy-on-the-eyes book. That's probably necessary, since Daniel Pinchbeck is as likely as any author out there to induce hallucinations with mere words. Pace yourself as you read, and when the letters start crawling across the page, take a look at the world around you. Chances are it's going to look rather different than it did when you first picked up the book. Fabio should be happier than he is. He is after, the incarnation of Fate, though he's changed his name. But sitting in a mall in Paramus New Jersey, he find that he loathes Destiny, who gets to handle all the great humans. No, Fabio isn't happy with this own Fate, and it is a fate, to provide fate for the 83% of us who ... won't amount to all that much. S. G. Browne has a very distinctive prose voice. He is as dry as the desert. You can hear the wind whistling past his lonely characters as they bumble and stumble into lives — even in this case, eternal lives — that are filled with longing and regret. Yet Browne knows how to channel the regret we all feel into sentences and stories that are flat-out hilarious, because they're connected to our emotions. At least, for the 83% of us who have a Fate, and not a Destiny. Browne's new novel is a fascinating study in prose voice. His first novel, 'Breathers,' was a pretty gory zombie tale, with the gore factor ameliorated by a rather sweet romance and that done-dry sense of humor. This time around, the supernatural trope is the Gods brought to life. But it's not just the Gods, (though we do have Jerry in charge) it's Fate, Destiny, the seven deadly sins; all of the iconic attributes of humanity personified and set loose amidst the 83% of us here in the 21st century. They have lives too, and for Fabio, that becomes a problem. 'Fated' offers all the humorous pleasures of 'Breathers,' with a refreshingly imaginative take on the daily lives of those who must endure eternal lives. There are rules of course that are supposed to govern the behavior of the immortal. But they can be broken. Fabio is suffering from the ennui of the immortal, at least, until he crosses paths with Sara, a beautiful woman who is the subject of Destiny, not Fate. As their paths cross, Fabio begins to get involved in the lives of his charges, breaking rule #1. Then he fall in love with Sara, and lives start to really go off the rails. Browne grounds his novel in Fabio's first-person narration, and it's a wise choice. He's a great ride, a steady worker who is growing tired of his job. He just happens to have a job and a life that allows him to control or derail the lives of others. The layered vision of this supernatural trope allows Browne to provide the reader with both real emotions and an endless supply of way over-the-top ironic humor. Fabio's prose voice allows Browne to poke fun at literally everything and everyone, up to and including Jerry, that is, God. Because we identify with Fabio — who hasn't had a job that left them envious of another's line of work? — we care about him, and his fate. It's a great twist. But Browne knows when to stop as well, when to ratchet back on the absurdity. 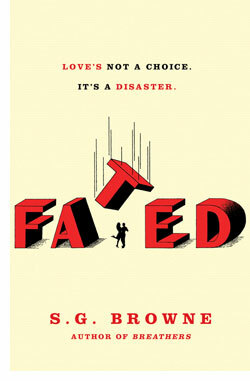 There is a sense of balance in 'Fated' that is sure and certain, which makes reading quite pleasurable. Once you buy the premise and the prose voice, your enjoyment of the novel is, well — fated. Kevin Kelly evades your expectations. The gleaming, shiny grid on the cover of 'What Technology Wants' suggests an infatuation with gadgets, an empty showroom waiting to be filled with innovation and invention. Instead, he opens with an account of his travels though those parts of the world where not even the twentieth century has arrived. This is a soul in search of the right question, not a soulless search engine overflowing with answers. Kevin Kelly is quite human. 'What Technology Wants' is bigger, smarter and broader than you expect. It is practically gadget-free. Kelly is unafraid of being wrong; in fact he sometimes seems to lean in the wrong direction deliberately, just to be sure he's keeping true to a larger perspective. 'What Technology Wants' does precisely what the title implies; it explores what technology "wants," that is, how our creations have become, to an increasing degree, our creators. It is no longer true that we are what we make; now, we are made by what we make. Kelly's argument is surprisingly personal at all levels, even though he pulls back for a much larger vision of just what technology is than what is usually implied by the word. For Kelly, "technology" is indeed the gadgets, gizmos, gears and golly-look-at-thats. But those are symptoms, not the disease. 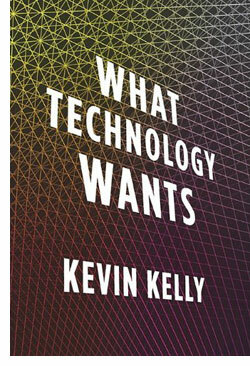 Starting back with the Big Bang — Kelly is nothing if not ambitious — 'What Technology Wants' explores what Kelly quickly defines as the technium, which is the self-reinforcing system of creation that results in technology, and Kelly asserts, has its own form of evolution. For a book that includes the word "technology" in the title, Kelly spends a lot of time talking about what most of us think of as pre-technological and even a-technological times. But Kelly is relentlessly pursuing his larger vision, not of evolving artificial intelligence, but instead, of the innate forces of change at work in the universe at large. He examines progress in all its forms. This is the ultimate work of progressive non-fiction, boiling the term down to its essence and then examining the force at work in all spheres, not just of life, but of existence. For a book that obviously reaches far, Kelly makes a lot of risky choices. Most readers are going to disagree with one or more of the conclusions that Kelly comes to on his prose journey. But he is ever an agreeable and entertaining guide, and does indeed provide the "Gee-whiz!" moments you desire from his book. He even borders on the offensive, with chapters like "The Unabomber Was Right" and "Lessons of the Amish Hackers." He's not in bad taste, but he is willing to be wrong. He's never controversial for the sake of shock. But, like Wile E. Coyote with a jetpack strapped to his back, sometimes he careens off the edge of a cliff. He's having fun and so is the reader. 'What Technology Wants' ultimately does answer its own question. It's a satisfying answer, and even if you don't agree with the conclusions, it is a satisfying book to read. Kelly is adept at coming up with the sort of witty similes and metaphors that generally show up in the best science fiction. He puts them to work in nonfiction, and they prove to be up to the task of helping readers understand how our inventions are re-inventing us. Kelly starts the book out with a road trip through the wilderness, and that proves to be an apt metaphor for the book itself. 'What Technology Wants' is what readers want when they buy a book with this title; a smart, entertaining journey to the heart of change. Celia Durst is walking down the street in Chicago, when, upon seeing a vintage VW beetle, she hears her best friend Djuna say, "Ladybug." But it must be a memory. Djuna disappeared twenty-one years ago, when, at the age of eleven, she stepped into a stranger's car and was never seen again. At least, that's the lie that Celia told. The lie that everyone believed. 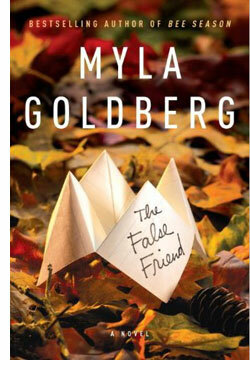 From the first sentence to the final page, Myla Goldberg's 'The False Friend' (Doubleday / Random House ; October 5, 2010 ; $25.95) is an exercise in splintered vision and suspense. Celia Durst is a thirty-two year-old woman with a nice boyfriend named Huck, two dogs, and a past that has refused to remain in the past. The events that marked her at the edge of adolescence have not left her alone. The stories she told have not ended and the young girl that she remembers being may not have been who she was. Goldberg's novel is a trimmed down and focused exploration of lives of young girls, just before they reach adolescence, a story of memory, lies and regret. As we meet Celia Durst, she seems to be a capable, professional woman, with a good job, a solid relationship and a life right on track. But as she drops everything to return home and undo the lie she told others, we begin to learn — she begins to learn — that her identity, her sense of self, may be based on lies she told herself. Goldberg carefully crafts a story of suspense and character revelation, by way of examining the traumas children so easily inflict on one another. The author deftly weaves the past and present, threading us through memories and stories as Celia speaks to — or tries to speak to — her friends from so long ago. What emerges is a scary and tense set of conflicting stories of pre-teen bullying and revenge. As Celia immerses herself in her own past, the reader experiences stories and memories, first-hand and third-hand — of the cruelty with which these girls treat one another. They have a cavalier sense of hurt. They're capable of inflicting pain for the fun of it, and unaware of how it feels to be on the receiving end. Goldberg paces her novel expertly, interlacing memory, storytelling and re-unions. Every conversation is laden with revelation, with stories that conflict one another and memories that may or may not be real. Goldberg creates a convincing vision of suburban decline, of lives spiraling into nowhere as Celia tries to find who she was in the past — and what that implies about her self in the present. 'The False Friend' is a very tightly-woven novel, with not a word to spare. The suspense from page to page, from lie to memory, from conversation to revelation is intense but never over-played. As the novel unfolds, readers will realize that their memories of the book are suspect as well, that the stories we read and the stories we tell ourselves, and others, can easily trap us. Our memories are pegged to stories, to lies, to narratives that fit our preconceptions but may not fit the facts. We read 'The False Friend' immersed in the power of the lies that control our lives, the stories that seem so friendly, yet prove to be so false.